One of the challenges in creating complex creative software is explaining to people how to use it. Then, and far more difficult, is helping them to use it well. 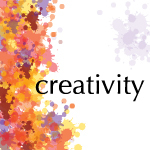 The first is focused on technology, the second on creativity. 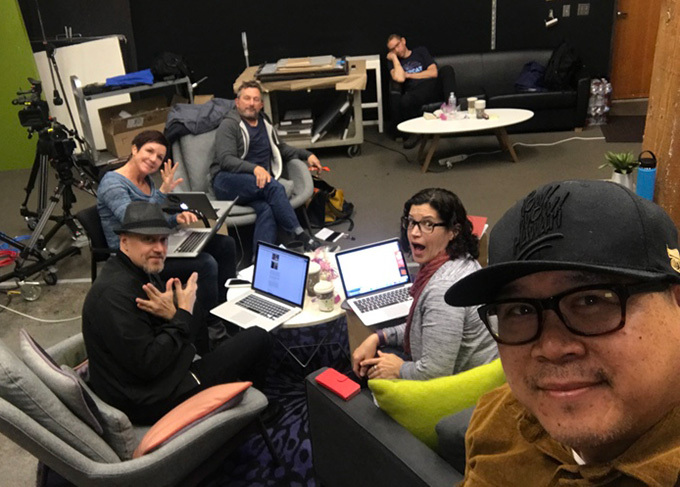 It was in thinking about how to teach creativity that two teams at Adobe – Adobe Studio and Adobe Social – came up with the idea for “Make It.” This video podcast, produced by Adobe, is an all-original talk show that airs weekly on Adobe’s Creative Cloud YouTube Channel. Adobe’s show hosts get inside the hearts and minds of some of the hottest names in the art and digital world to talk about their creative process, anecdotes and lessons learned along the way. The executive producer of “Make It” is Michelle Mahoney, Erik Espera is the Creative Director and Director. 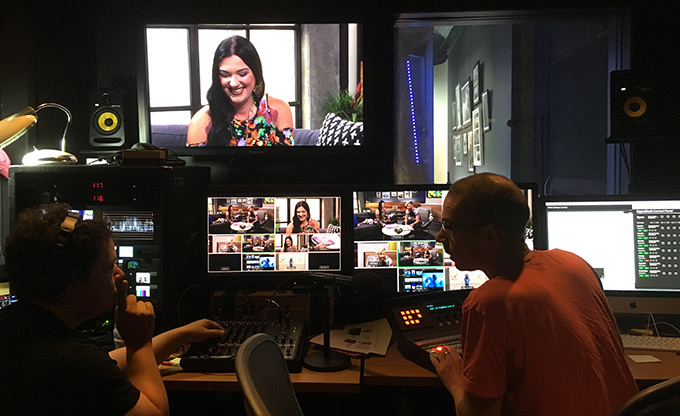 Last week, I was invited by Adobe to go behind-the-scenes to talk with Erik and learn more about the show. Like all good ideas, the show started with intensive planning from a team of seasoned professionals. “The show was created by the Adobe Studio and Social teams,” Erik told me. In the control room with Patrick Tulipano and Jim Granato during the Sequoia Emmanuelle shoot. 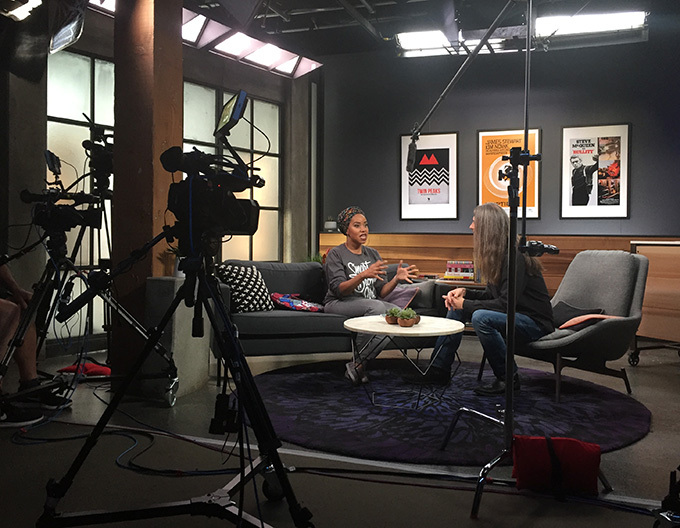 The show is recorded in Adobe’s studio in San Francisco, with remote segments produced in New York and LA. There is a “Make It” show for each of Adobe’s primary creative audiences: Photography, Design and Video. Adobe’s hosts are Josh Haftel (Photography), Brooke Francesi and Paul Trani (Design) and Jason Levine (Video, VR & Sound). So far, Adobe has created 52 shows (here’s the entire playlist on YouTube). Jason Levine and Joulezy on the SF studio set. 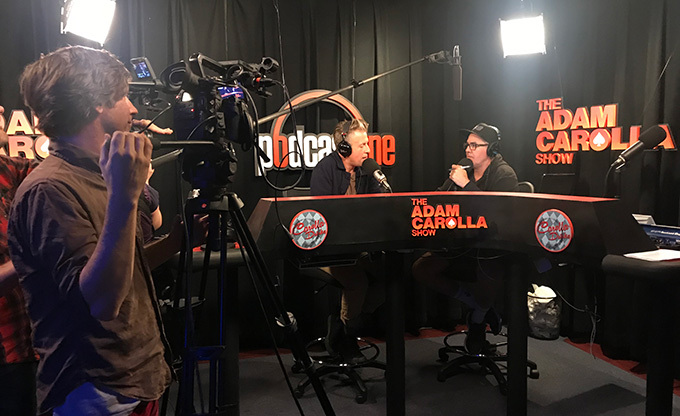 An LA remote shoot at The Adam Carolla Show with Jonathan Hyla. In terms of gear, “Make It” uses a wide variety of cameras across both studio and remote productions, including Canon EOS Cinema cameras, REDs, Panasonics, Arris and Sonys. And, you will not be surprised to learn, the post-production team uses a variety of Adobe tools, including Adobe Premiere Pro CC, Adobe Photoshop CC, Adobe Lightroom CC, Adobe After Effects CC, Adobe Illustrator CC and Adobe Media Encoder CC.